Kansas Archeology Training Program Field School. What are my career choices in archaeology? There are several levels of being an archaeologist, and where you are at in your career is related to the level of education you have and the experience you’ve received. There are two common types of archaeologists: those based at universities, and those based at cultural resource management (CRM) firms, firms that conduct archaeological investigations associated with federal construction projects. Other archaeology-related jobs are found at National Parks, Museums, and State Historical Societies. A field technician is the first paid level of field experience anyone gets in archaeology. As a field tech, you travel the world as a freelancer, excavating or conducting survey anywhere the jobs are. Like most other kinds of freelancers, you are generally on your own when it comes to health benefits, but there are benefits to the ‘travel the world on your own’ lifestyle. You can find work on CRM projects or academic projects, but in general CRM jobs are paid positions, while the academic field jobs are sometimes volunteer positions or even require tuition. A Crew Chief and Field Supervisor are Field Technicians who have had enough experience to earn additional responsibilities and better pay. You’ll need at least a Bachelor's level (BA, BS) college degree in archaeology or anthropology (or be working on one) to get this job, and unpaid experience from at least one field school. A project archaeologist is the middle level of the cultural resource manager jobs, who supervises excavations, and writes reports on excavations conducted. These are permanent jobs, and health benefits and 401K plans are common. You can work on CRM projects or academic projects, and under normal circumstances, both are paid positions. A CRM Office Manager supervises several PA/PI positions. You’ll need a Master's Degree (MA/MS) in archaeology or anthropology to get one of these jobs, and a couple of years experience as a field technician is very helpful, to be able to do the job. A Principal Investigator is a Project Archaeologist with additional responsibilities. She conducts archaeological research for a cultural resource management company, writes proposals, prepares budgets, schedules projects, hires the crew, supervises archaeological survey and excavations, supervises laboratory processing and analysis and prepares as sole or co-author technical reports. PIs are typically full-time, permanent positions with benefits and some retirement plan. However, in special cases, a PI will be hired for a specific project lasting between a few months to several years. An advanced degree in anthropology or archaeology is required (MA/Ph.D. ), as well as supervisory experience at the Field Supervisor level is also required for first time PIs. The academic archaeologist or college professor is probably more familiar to most people. This person teaches classes on various archaeology, anthropology or ancient history topics at a university or college through the school year, and conducts archaeological expeditions during the summer terms. 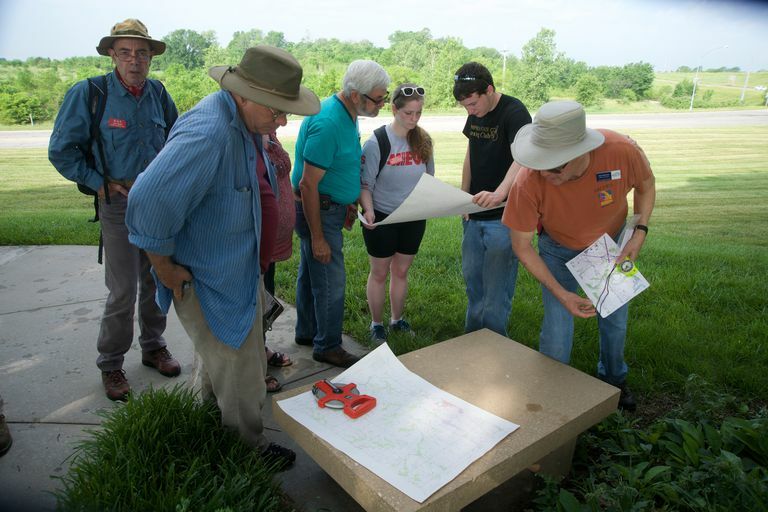 Typically a tenured faculty member teaches between two and five courses a semester to college students, mentor a select number of undergraduates/graduate students, run field schools, conduct archaeological fieldwork during the summers. Academic archaeologists can be found in Anthropology Departments, Art History Departments, Ancient History Departments, and Religious Studies Departments. But these are relatively difficult to get because there aren't that many universities with more than one archaeologist on staff—there are very few Archaeology Departments outside of the larger Canadian universities. There are Adjunct positions easier to get, but they pay less and are often temporary. You’ll need a Ph.D. to get an academic job. A State Historical Preservation Officer (or SHPO Archaeologist) identifies, evaluates, registers, interprets and protects historic properties, from significant buildings to shipwrecked vessels. The SHPO provides communities and preservation organizations with a variety of services, training and funding opportunities. It also reviews nominations to the National Register of Historic Places and oversees the State Register of Historic Sites. Has a very large role to play in a given state's public archaeology effort, and is often in political hot water. These jobs are permanent and full-time. The SHPO, him/herself, is usually an appointed position and may not be in cultural resources at all; however, most SHPO offices hire archaeologists or architectural historians to assist in the review process. A cultural resource lawyer is a specially-trained attorney who is self-employed or working for a law firm. The lawyer works with private clients such as developers, corporations, government, and individuals in connection with a variety of cultural resource-related issues that may arise. Those issues include regulations that must be followed in connection with property development projects, ownership of cultural property, treatment of cemeteries located on the private or government-acquired property, etc. A cultural resource attorney may also be employed by a government agency to oversee all cultural resource issues that may arise, but will probably entail work in other environmental and land development areas as well. She may also be employed by a university or law school to teach subjects related to the law and cultural resources. A JD from an accredited law school is required. 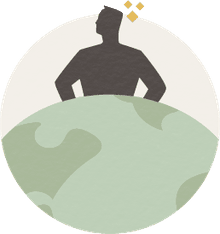 An undergraduate degree in Anthropology, Archaeology, Environmental Science or History is helpful, and it's beneficial to take law school courses in administrative law, environmental law and litigation, real estate law and land use planning. A laboratory director is typically a full-time position at a large CRM firm or university, with full benefits. The director is in charge of maintaining artifact collections and the analysis and processing of new artifacts as they come in out of the field. Typically, this job is filled by an archaeologist who has additional training as a museum curator. You'll need an MA in Archaeology or Museum Studies. Most large CRM firms have libraries—both to keep their an archive of their own reports on file, and to keep a research collection. Research librarians are typically librarians with a degree in library science: experience with archaeology is typically beneficial, but not necessary. GIS Specialists (Geographic Information Systems (GIS) Analysts, GIS Technicians) are people who process spatial data for an archaeological site or sites. They need to use software to produce maps and digitize data from geographic information services in universities or large cultural resource management companies. These can be part-time temporary jobs to permanent full time, sometimes benefited. Since the 1990s, the growth of Geographic Information Systems as a career; and archaeology has not been slow in including GIS as a sub-discipline. You'll need a BA, plus specialized training; archaeology background helpful but not necessary.